I was utterly, absolutely, completely exhausted. And Inspired. I grew up always wanting to become a mother and adoring babies. After nannying for years, completing a BS in Family Studies, and working with dozens of parents as a postpartum doula, I felt confident in my knowledge and abilities. I was also very aware of the challenging realities of parenthood. When I became pregnant with my first son, I was so excited to be on "the other side" of the birth world and to be the mama instead of the professional. There was much joy to be had. However, like so many, I experienced a variety of challenging times during my pregnancy as well. I suffered from debilitating nausea and needed to stop work abruptly; I questioned my body and my choices; I received a multitude of unsolicited advice and options, but what surprised me most was the unrealistic expectations put on me. "Let's take bets on how long Krista's baby will sleep!" The words still ring in my ears all these years later. People really believed that being a parent would somehow be easier for me because of my education and work experiences. To some extent, they were right, and I like to believe their confidence in me was well-meaning. However, the expectations set for me created an environment that made me feel doomed to failure and made it more difficult to ask for and receive the help I knew I needed. Parenting is a time of such contradiction; holding conflicting emotions and meeting the demands of opposite needs all at the same time. The physical recuperation of pregnancy and delivery. The long, sleepless nights. The financial burdens. The transition of how we see ourselves and the world. The changes in partner, family, and friend relationships. The struggle to "do it all" and the societal expectation that we can and should be able to do so. Yes, I was aware of these challenges beforehand, yet that did not change the fact that I still was on "the other side" and was the mama. My education and previous experiences did little to prevent or alleviate health issues, financial stresses, lack of support, or intense and prolonged sleep deprivation. I slipped into Postnatal Depletion and suffered from postpartum anxiety and depression for quite some time before finally finding the professional help I required. After addressing my family and personal challenges, I became pregnant again but experienced an early miscarriage. I was able to conceive my second son shortly thereafter. The nausea that was so bad the first time around paled in comparison to this experience, yet I had a young child that still required my attention and care. More challenges to be sure. I vowed to radically change my life in order to prevent another difficult postpartum period. We sold our house and moved into an apartment; I began training other doulas instead of providing in-home postpartum support. I bought a deep freezer and made double batches of food. I utilized the professional resources I discovered from my first pregnancy/postpartum experience. We prepared as if we would not receive help and would only be able to rely on ourselves to care for our family. Thankfully, our prenatal preparation and shift in priorities had the desired effect we sought and our second postpartum experience was much smoother. In fact, I have never been happier as an adult. Live and learn. But again, the challenges of first year parenting can never fully go away. I desperately wanted sleep; I craved emotional support and parenting praise; I needed consistent and affordable childcare; I wanted to attend appointments; I dreamed of massage. I yearned for yoga. I fancied fun and being with friends. So, night after night as I rocked my baby boy, I began to piece together all the dreams and desires I had as a new parent. Then, one morning, my husband came downstairs and I exclaimed, "I'm going to open a Nap House!" I rapidly described my plans and showed him the Pinterest boards I had put together by the light of my cell phone at night. He gave me the same look as when I suggested we sell our house but, as always, he was supportive. Months later, my husband and boys are soundly asleep while I remain awake yet dreaming. My initial vision has grown and evolved and expanded into more than I ever hoped it could be, much like the process of parenting. 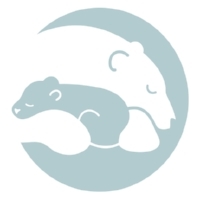 Relief - Parenting Respite & Resource Center, LLC will fulfill the comprehensive needs of parents by providing a safe place to rest (yes - naps for parents! ), on-premise professional childcare, specialized parenting consultations, opportunities for social interactions, community resources, perinatal practitioners, and more. It is my mission to create a place that supports parents and families in every way and to create a non-medical, emotional, and educational model of care so that every family gets the resources and respite they need and deserve. I'll be opening the Center doors in September and could not be more excited! I hope you will join me there and find your own Relief!